Existing Homes vs New Homes: Why decrease when anticipating increase? National Association of Realtor’s Chief Economist, Lawrence Yun offered an analysis of the decline in existing home sales in August and early September. This change in the market was a 2% decrease. That doesn’t sound like much except for the fact that we were anticipating an increase based on recent history. Mr. Yun advised that investors, as I previously reported, have switched from buyers to sellers. Thus we have more vacant homes moved into the already saturated marketplace. 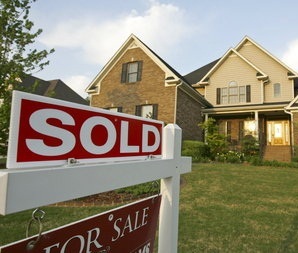 In addition, new home sales are reporting positive activity. When you add to this mixture the ones that banks are releasing, we find that serious home sellers are still in an unenviable position. It is difficult to compete with those squeaky clean properties or the super attractive terms being offered by investors holding too much inventory or new home builders needing to unload and build. The winners so far in this mixture seem to be new home buyers. These are the people who have “qualified” for one of these fancy new, untested mortgages. In a new home transaction you do not have to contend with the seller’s mortgage pay off. Of course a brand new home although shiny and clean will by nature have need for maintenance or replacement of faulty items. That is what a “punch out” list is for. There is also the question of how will the neighborhood grow? Often a new home owner will be surrounded by renters as these homes remain vacant for months. I would advise a serious drive around the neighborhood on weekends. Of course I suggest that to any buyers in every neighborhood. And so we find as the real estate market adjusts, it is really not changing. Buying a home is still a serious activity in which you need a realtor. Selling your home is a serious activity in which you need a realtor. When I show homes in my area of Clarksville TN more than half of the homes are vacant where the sellers have already moved out. It tells the buyers that there are plenty of homes to see and there is no hurry to make a decision.